When iRobot designed the Roomba robotic vacuum cleaner, they made it round, so it wouldn’t get stuck in corners. They made it low, so it could scoot under beds and sofas. They did not think about making it cute. But cute it is, for a 3.8 kg self-moving disc. Its plaintive chirp for help when it gets stuck behind a sofa leg, and the tentative way it bangs into an obstacle a few times before turning away – a clumsy movement straight out of Konrad Lorenz’s Kindchenschema, from his 1943 paper describing the ‘innate releasing mechanisms’ that prompt affection and nurture in human beings ­– have an effect on customers. “When they initially rolled this product out, they had a return policy: if something breaks on the robot, send it back, and we’ll return you a new product the same day,” says Brian Scassellati, founder, and director of Yale University’s Social Robotics Lab. People also named their Roombas, a common fate for cute robots. When Catalia Health tested its robotic weight-loss coaches in patients’ homes, they returned after two months to collect them. Catalia found the patients had dressed the robots up in hats and scarves, given them names, and did not want to let their companions go. While cuteness has long been a hook when selling dolls, purses and other consumer products, one cutting-edge area where cuteness has proven particularly vital is personal robotics. Robots right now are best at time-consuming, repetitive interpersonal tasks, and two realms where they are beginning to succeed commercially are educating small children and helping people with dementia, autism, and mental health problems. 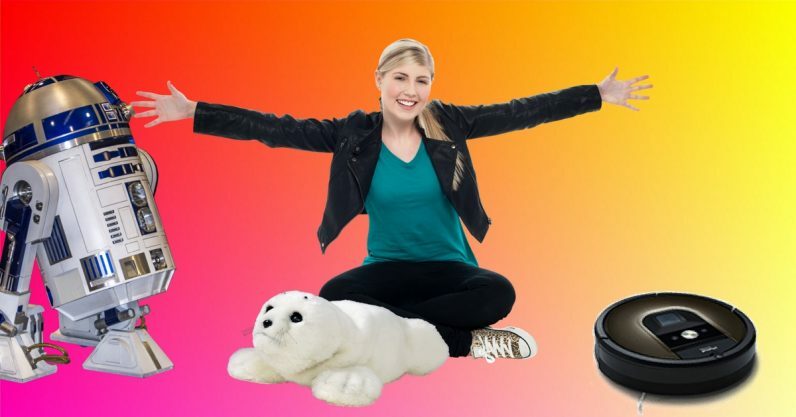 One of the most successful robots on the market is PARO, a $6,000 robotic baby harp seal found in nursing homes and psychiatric institutions around the world. Its designer, Japanese engineer Takanori Shibata, at first thought of making PARO a robotic cat or dog – people love cats and dogs. But he realized two things. First, they tend to love either cats or dogs, so there would need to be two versions of PARO: one cat, one dog. And second, they’ve seen cats and dogs, and thus a robotic replica, no matter how skillfully made, would fall into the ‘uncanny valley’ of artificial creatures who look just real enough to be creepy. Nobody wants to cuddle a creepy robotic dog. Most people, however, have never held a baby harp seal, and thus they accept PARO. Its microprocessors allow PARO to bob its head, look at the person holding it, bat its long eyelashes, and coo and trill in an appealing way. In 2009, the United States Food and Drug Administration approved PARO as a Class II medical device. The Personal Robots Group at the Massachusetts Institute of Technology (MIT) Media Lab calls devices such as PARO ‘socially assistive robots’, and cuteness is key. It consulted animators when creating Tega, a ‘learning companion’ designed to work with small children. Tega is a bouncy, furry creature. But robots can be cute without resembling living entities. Jibo, which was supposed to reach customers in April, but was held back by design glitches, is certainly cute, resembling a sleek, attentive table lamp. Someday, robots might be common enough that we accept them and don’t care how they look. But right now, the baby schema does the heavy work easing robots into our lives. For a robot, being accepted is not the only benefit of being cute. Cuteness also causes shifts in human behavior, which cute studies researchers (read more in this Mosaic piece) are cataloging. These help today’s primitive robots do their jobs. Another benefit: people often expect robots to perform beyond their capabilities since, well, they’re robots, and making them infantile lowers those expectations. “If the robot looks and behaves as a very young creature, people will be more likely to treat it as such,” Breazeal writes in her book, Designing Sociable Robots. That means handling it gently and ­– key for the time being – not demanding too much. Once robots are better at what they do, and people don’t need expectations lowered, the importance of robotic cuteness might diminish. But not anytime soon. “The cuteness factor is likely to be there quite a while,” says Scassellati. Read more on Mosaic: Don’t miss our pieces on care robots such as Paro and how Japan is a country conflicted by cuteness.